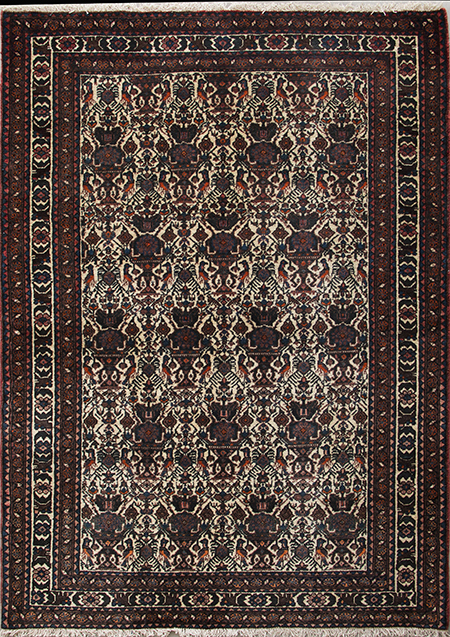 Good quality, brand new Persian Abadeh hall runner in the typical "Heybatlou" pattern, beautiful colors, your ideal choice for a high traffic hallway. 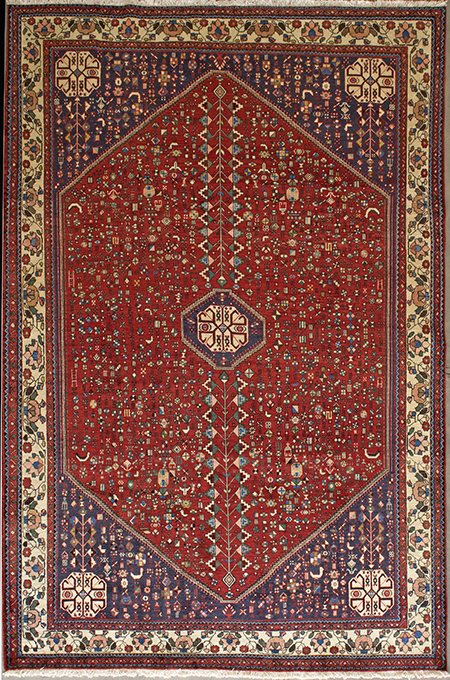 Super fine, semi-antique Persian Abadeh from early 20th century in a magnificent allover "Zelle Sultan" design, all natural dyes and in perfect condition. 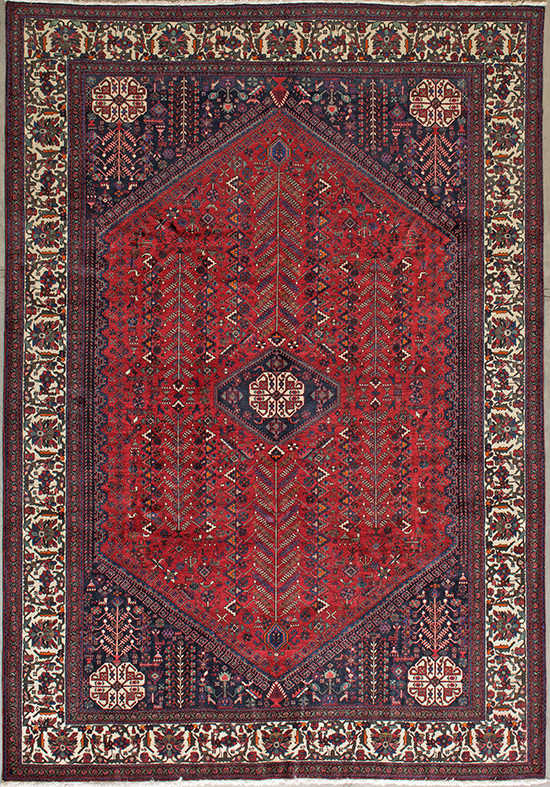 High quality Persian Abadeh with the traditional "Heybatlou" design. 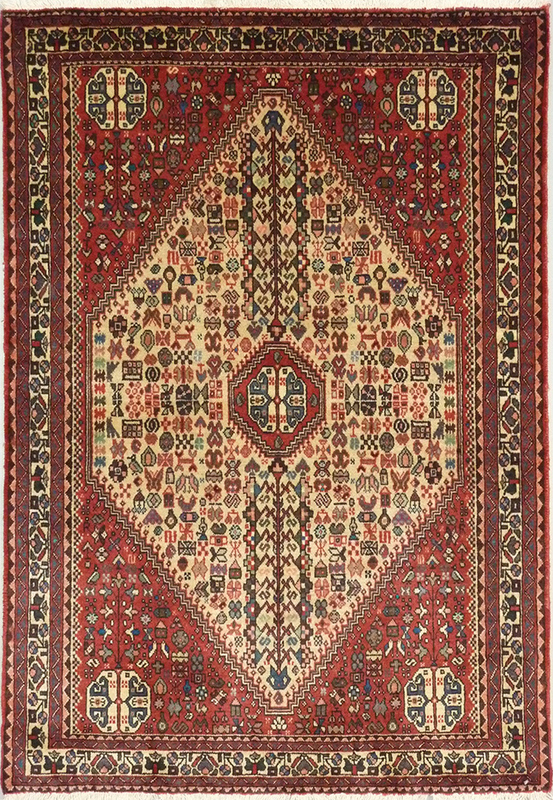 Top of the line, one-of-a-kind, antique Persian Abadeh from early 20th century in a most beautiful "Heybatlou" design, hand spun wool, 100% natural dyes, and surprisingly, in perfect condition, definitely a work of outstanding workmanship. 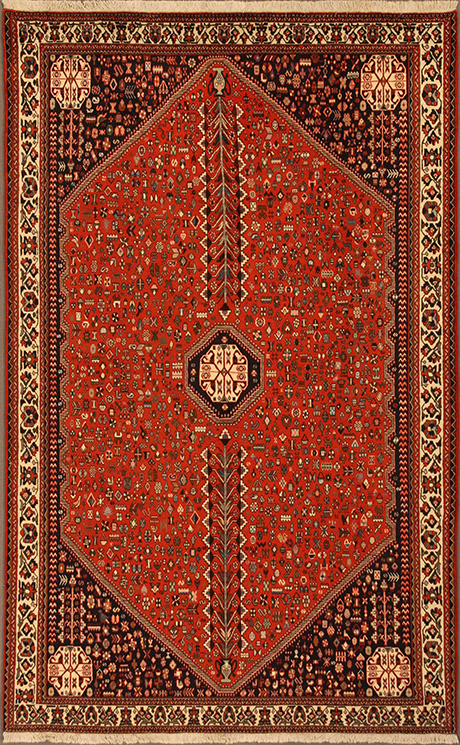 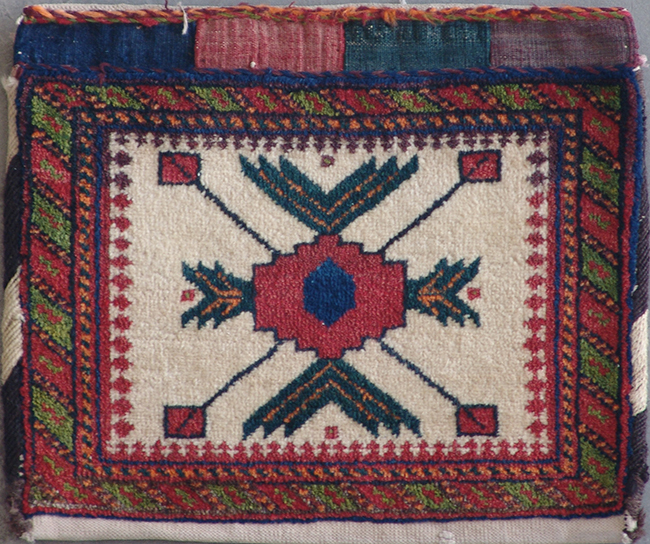 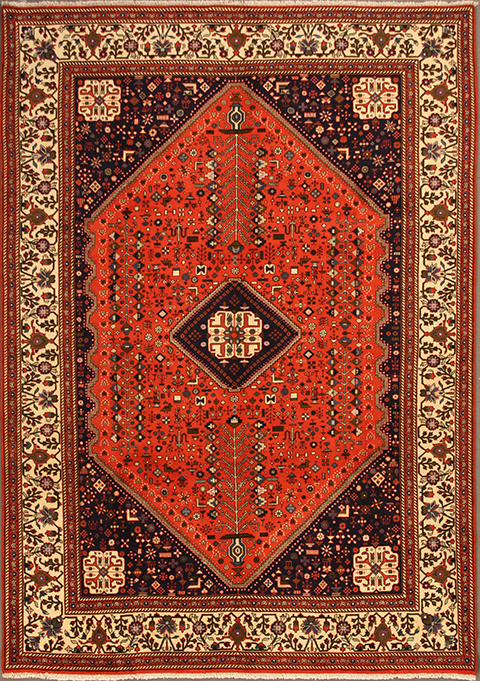 Old Persian Abadeh in the traditional "Heybatlou" pattern in perfect condition. 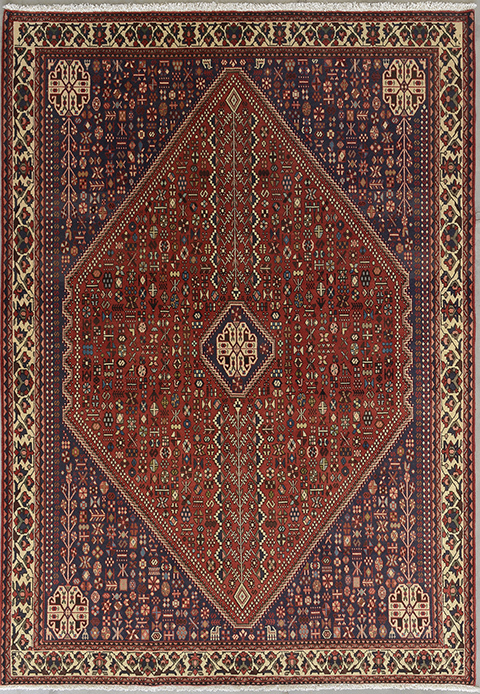 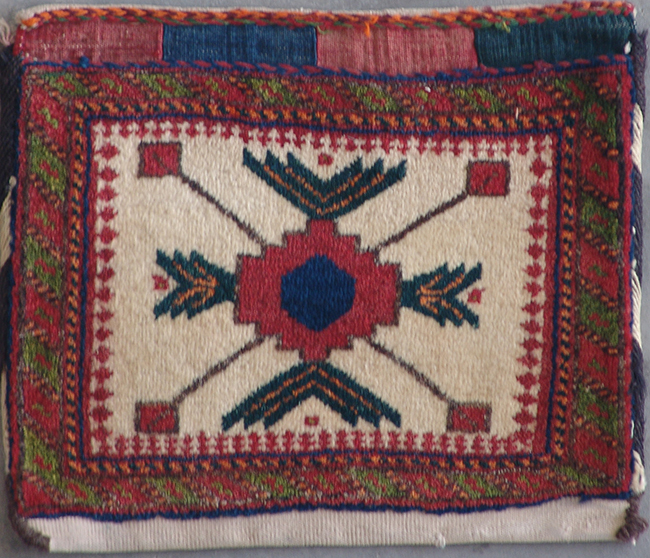 One-of-a-kind, antique Persian Afshar in gorgeous natural dyes, perhaps a section of a saddlebag, cotton kilim backing, in great condition.